NAME: Lost Horse Mine COUNTY: Riverside ROADS: 2WD GRID: 1 CLIMATE: Hot summer, cold winter w/ perhaps snow BEST TIME TO VISIT: Anytime COMMENTS: This site is located within Joshua Tree National Monument and can be located by following the signs toward Keys View overlook;on the way is a clearly marked turnoff to Lost Horse Mine. The hike is 4 miles roundtrip(2 miles to & 2 miles from) and plan to spend 3-4 hours here. 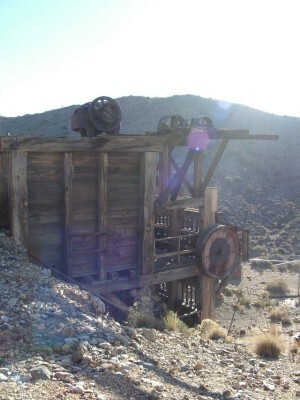 This site contains an enormous 10 stamp mill in excellent condition, as well as two water tanks, a wheel off an ore cart, two pulles, a few foundations and diggings. But perhaps the best part is the spectacular view atop the hill on which the mill sits! 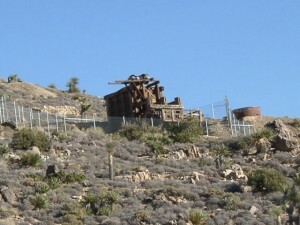 To Whom It May Concern, This concerns the Lost Horse Mine at Joshua Tree National Park, Twenty Nine Palms, California. 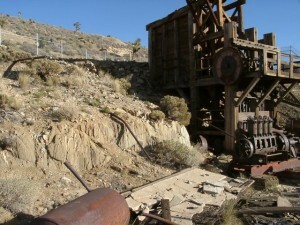 The author of the article incorrectly stated that " Dutch Frank" Diebold, Ed Holland, and Alfred G. Tingman were camped in the area of the Lost Horse Mine and lost their horses. This is incorrect. It was in fast Johny Lang that lost his horse and went in search of the lost animal. He stopped by the McHaney encampment near Keys' Desert Queen Ranch and discovered that his horse had been "confiscated" by the McHaney's. The part where Diebold comes in is where the McHaney's directed Lang to his camp. This is where Diebold told Lang that he had discovered a large gold strike. He had not been able to claim it because of interference from the McHaneys. Lang purchased the claim from Diebold for $1,000. Lang took on partners with enough clout to take on the McHaneys. Lang's partners eventually sold their shares to the Ryan Brothers. Also, after Johnny Lang had been discovered skimming some amalgam from the night shift that he was supervising. He was given the option of selling his share or going to jail. He sold for $12,000. 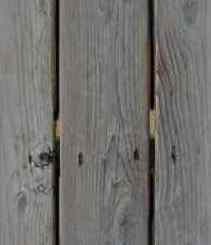 It looks like the information that was published was obtained from a publication entitled: "Southern California's Best Ghost Towns", by Phillip Varney. The information was not correct. I have been a frequent visitor to Joshua Tree National Park for more that two (2) decades and have become very familiar with the legends, myths and stories that have become Joshua Tree National Park.